The 3i4719-8DC16 controller case was developed to securely transport the Mackie Axis DC16 Controller and accessories. With custom cut high quality PE foam designed specifically to house the DC16 Controller, the interior also features two pockets below the mixer and one to the side that will accommodate cables, direct boxes, and other accessories. The two pockets below the mixer measure 17.75" x 6.25" x 2.25" and the side accessory pocket measures 17.75" x 7.75" x 4.5". 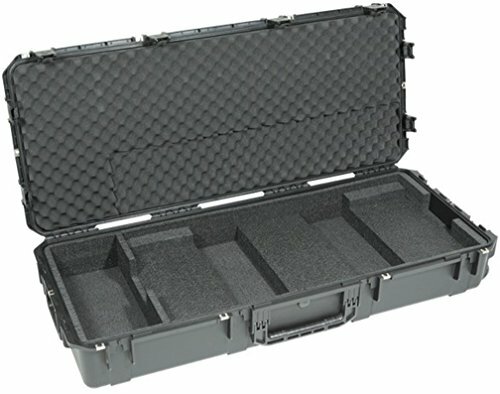 The iSeries 3i4719-8DC16 Mackie DC16 case is made in the USA and is backed by SKB's Unconditional Lifetime Warranty.